Pennsylvania Railroad Station, New York City: Seventh Avenue and 32nd Street, looking towards Long Island. Hughson Hawley, 1910. Library of Congress. 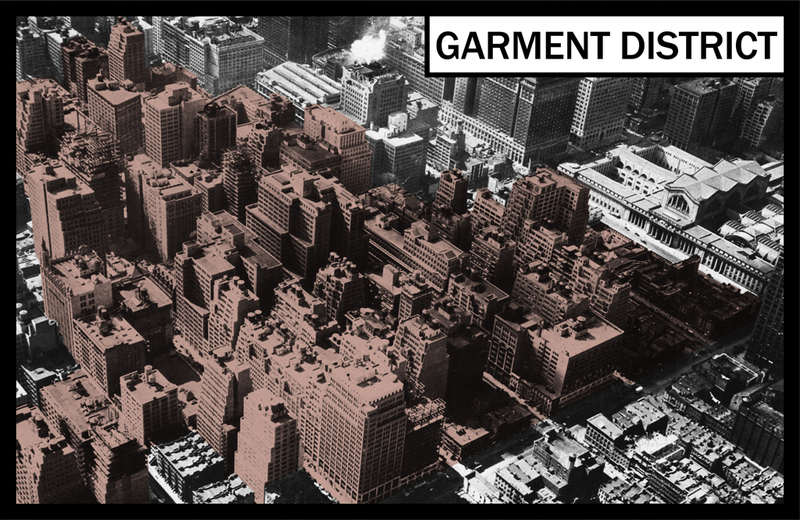 The boundaries of the Garment District lie between 35th and 41st Streets, from Sixth to Ninth Avenues. 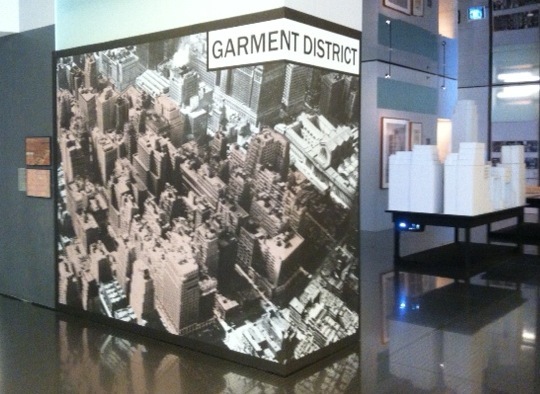 The growth of this dense skyscraper factory district developed almost completely within the decade of the 1920s, as high-rise lofts and showroom towers replaced the existing low-rise neighborhood known as "the Tenderloin." 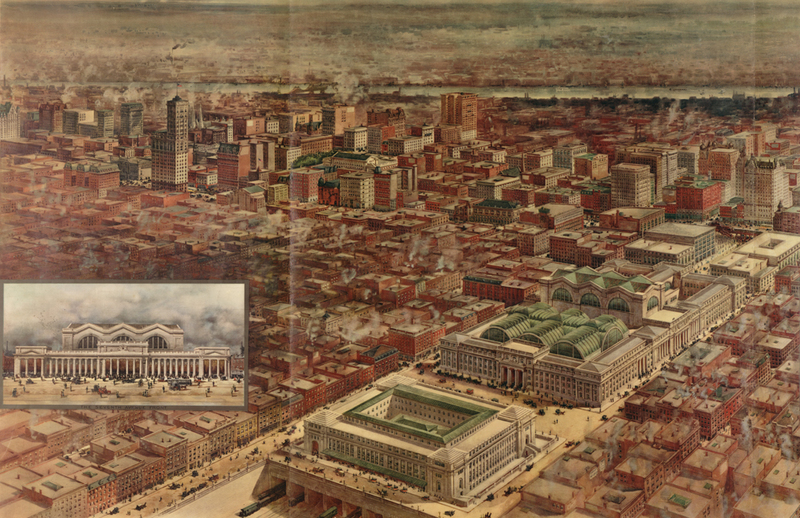 The low scale of the Tenderloin is depicted in the Hughson Hawley rendering that celebrates the construction of the massive complex of Pennsylvania Station and the United States Post Office at 32nd to 34th Street and Seventh and Eighth Avenues. Penn Station was a key impetus for the redevelopment of the district to the north. Beginning in 1919, loft developers displaced the Tenderloin's multi-racial population and a phenomenal transformation boom began. Just how much high-rise construction had already occurred by 1925 can be seen in the aerial photograph, looking southeast from Eighth Avenue and 40th Street. Many tenements will soon be demolished are still standing, but construction of new lofts across the district is underway everywhere. The density of the streets is already evident, even though dozens of additional lofts would be erected in the next five years.